Fraternities and Sororities are a common part of college and University life. And while many people talk about them and hear about them, few people have the opportunity to actually join them. If you are given the opportunity, you want to embrace it. Being part of a fraternity or sorority is a privilege, and something to be proud of. The best way to show your pride is to wear your Greek Letters on a Letter Jacket. But what are Greek letters and what is a letter jacket? Let’s learn a little bit more about fraternity and sorority language. Most of us know what fraternities and sororities are. If you aren’t in one, there’s a good chance that you’ve seen them in movies or on tv. But for those who don’t know, let’s explain a little further. Fraternities and sororities are groups that bind their members together with a set of common ideals, rituals, and strong friendships. They often claim to have strong “brotherhoods” and “sisterhoods”, in which bonds are unbreakable. Members of fraternities or sororities are known as “Greeks”. This term is used because Greek letters are often used to distinguish themselves from other fraternities or sororities. Each sorority has a motto. These mottos are used to decide which Greek letters the sorority or fraternity will take on. In other words, the Greek letters represent the initials of the groups motto. Many times these letters are cryptic, so that only people within the fraternity or sorority know what they mean. The original Greek Letter Society was known as “Phi Beta Kappa”. 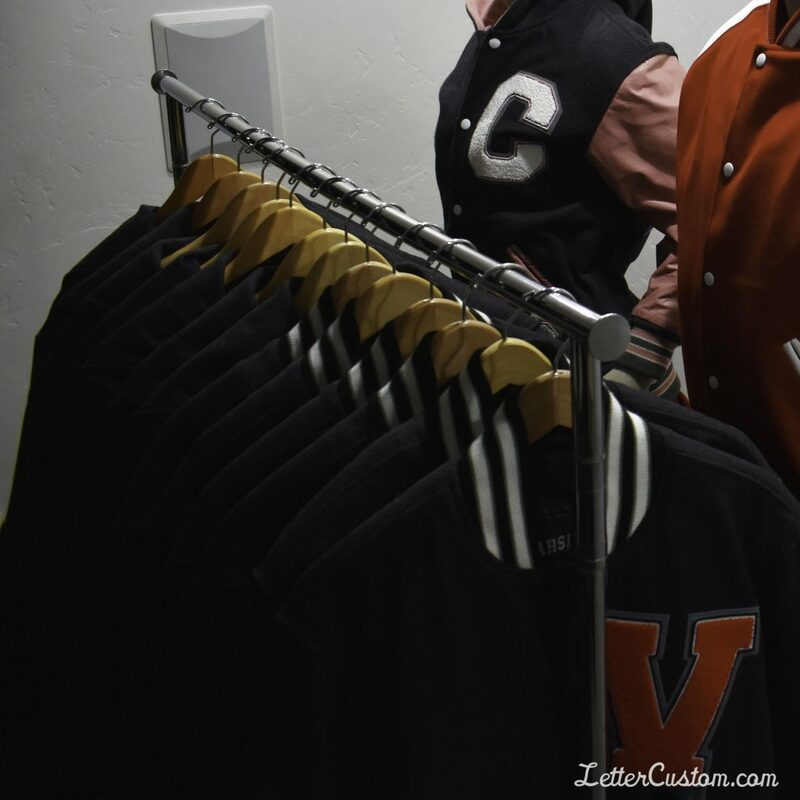 So where does a letter jacket come into play? If you are offered a “bid” into a sorority or fraternity, it means that you have been invited to become an active member of the group. Before becoming a full member, however, you will probably have to undergo an initiation, as well as a probation period. With that being said, once you are accepted, you quickly become part of an unbreakable brotherhood or sisterhood. And in many cases, you will be offered your own Greek letters in the form of a small patch. This patch is something to be extremely proud of, and should be worn with pride. 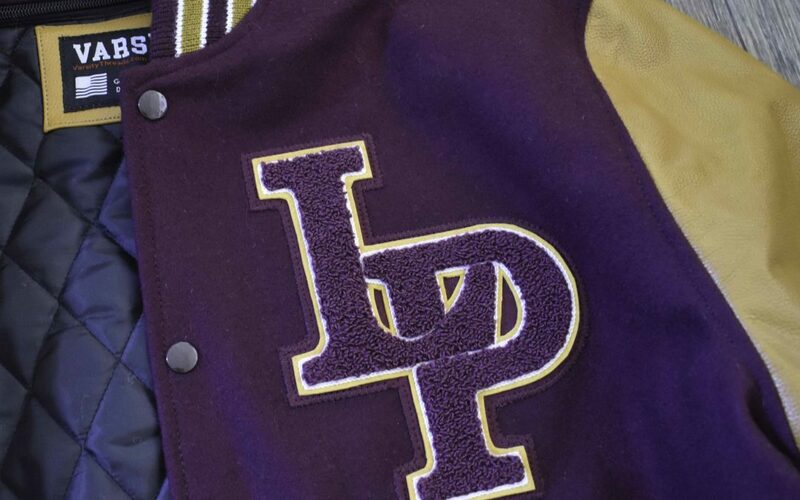 Many sorority and fraternity members wear their Greek letters on a letter jacket. This is something that they can wear with them anytime, anywhere, to show people that they are part of a Greek Letter Organization. In most cases, this distinguishes them as one of the “popular” kids in town. Greek letters are a privilege and symbolize years of tradition of students before you. When wearing your Greek letters or your letter jacket, it is your job to act in a way that makes your fraternity or sorority members proud. Don’t dishonour your sorority or frat family by acting in ways that are dishonourable or disrespectful. You need to take pride in your letters. As we mentioned above, not everyone is given the opportunity to be part of something so powerful. If you are given the opportunity to wear Greek letters, take care of them. Don’t let them fade. Remember, these are a reflection of your sorority, so keep them in as pristine condition as possible. Know what your letters mean. It’s one thing to wear your letters, but you should also know what they mean. Do you know what your fraternity letters or sorority letters stand for? If you don’t, it’s time to find out! One day you should pass your letters on. Some members are given the opportunity to keep their letters, but it’s always an honour to new and younger members of the sorority to receive their letters from their elders. 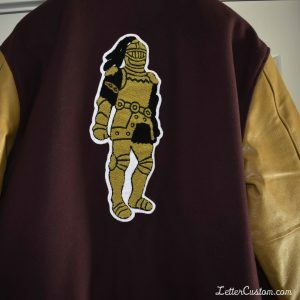 You need licensing to get a letter jacket. Each fraternity or sorority has it’s own logos which are trademarks. Not anyone can just go and get a letter badge. In fact, these letters are protected by law. So before you go and make a badge, make sure you get permission so you don’t get in any legal trouble. If you are lucky enough to be part of a sorority or fraternity, you should wear your letters with pride. Keep in mind, however, that when you wear these Greek letters on your letter jacket, you represent your group and everyone in it. Greek letters are something to be proud of and respected, not abused. So wear them with pride and show your brothers or sisters why they selected you to be a part of their group in the first place!